The rule of seagulls in the harbour city has been challenged by guardian falcons. Residents are thankful. 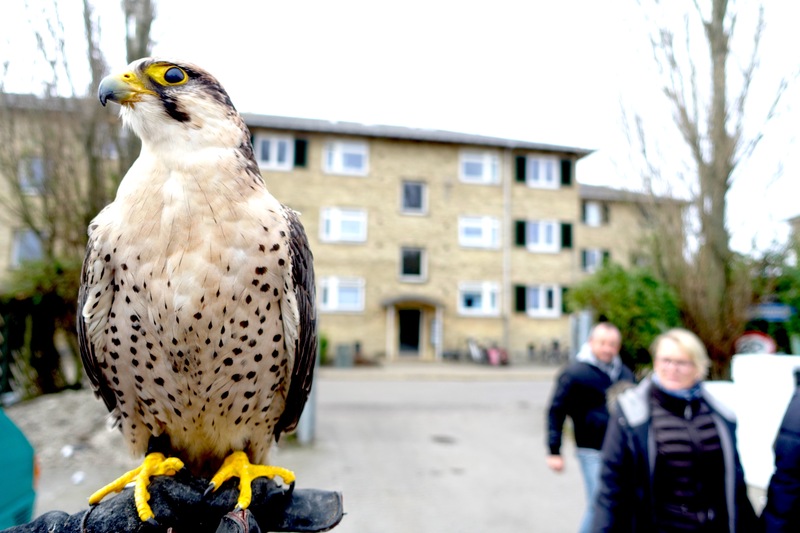 Near apartment blocks in the western part of Copenhagen Flemming Salomon releases his falcon Knirke. Her presence scares the large gang of seagulls away, even though most of them are twice her size. The birds above scream at the sight of Knirke, and the noise attracts residents. “They’re so darn loud-mouthed,” resident Villy Sørensens says about the seagulls, and explains how they wake him up at the break of dawn. “There’s so many of them. We’ve started calling them the flying rats,” he says.